The best thing you can do is to find a person who loves you for exactly what you are. Good mood, bad mood, ugly, pretty, handsome, what have you. 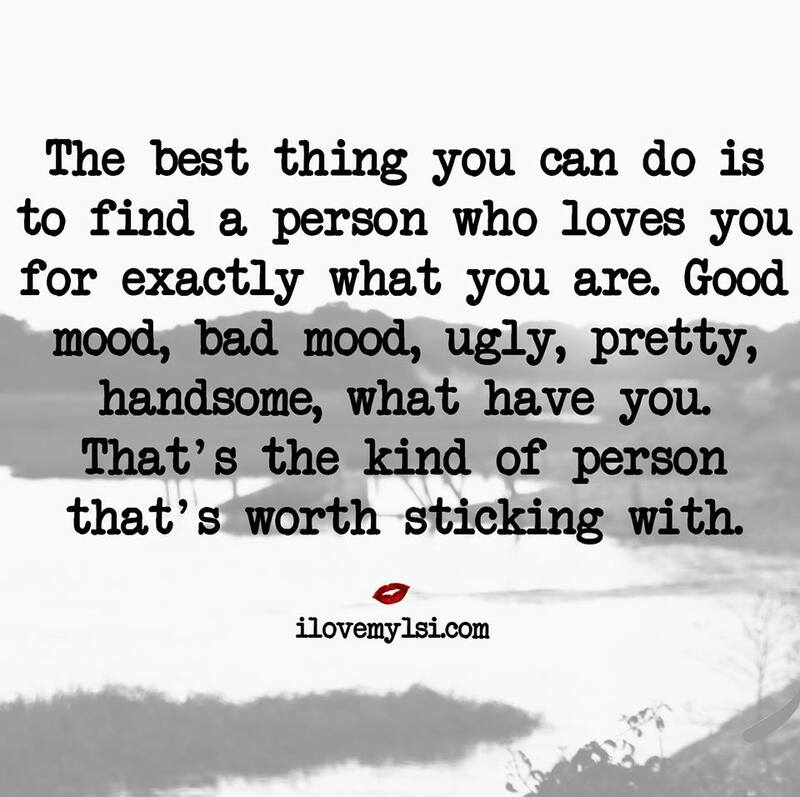 That’s the kind of person that’s worth sticking with.